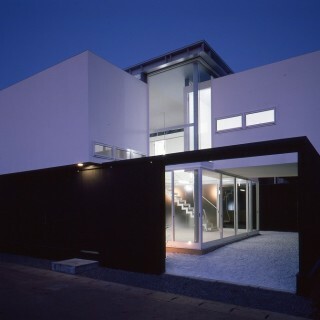 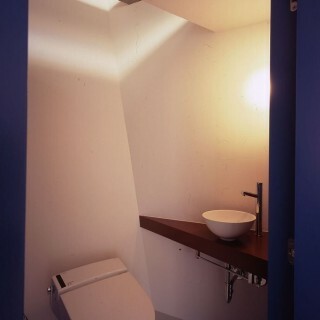 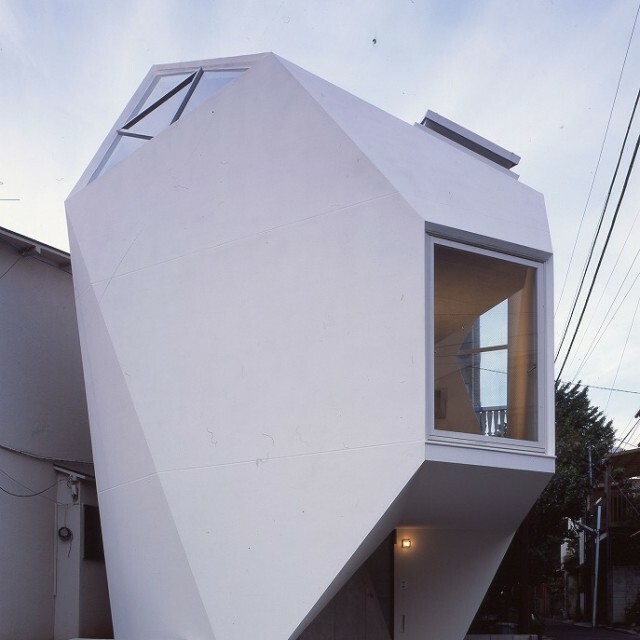 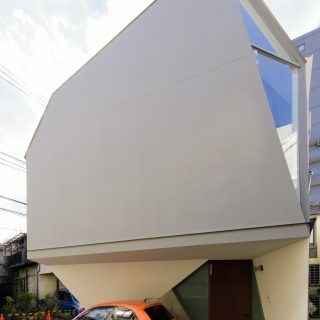 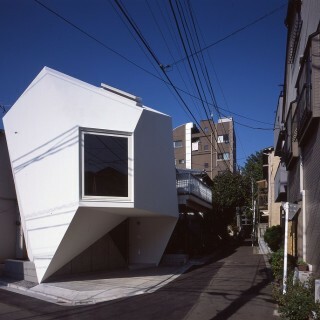 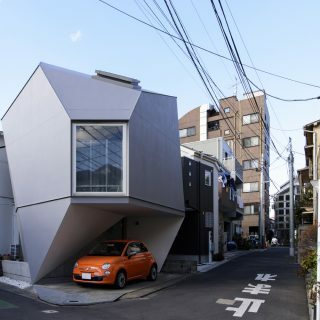 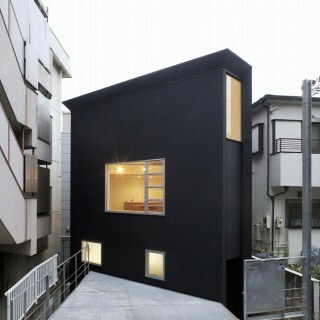 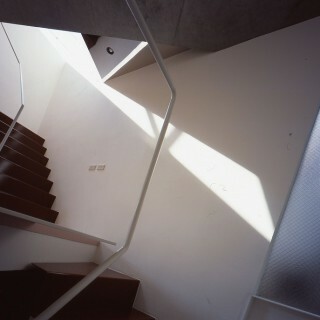 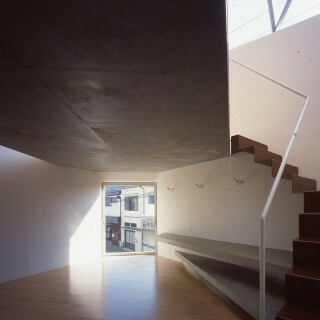 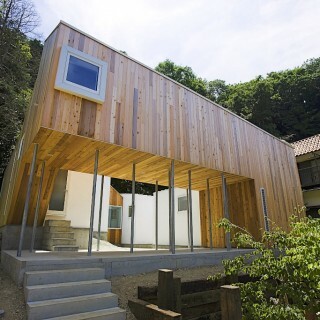 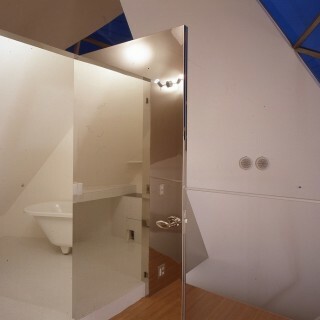 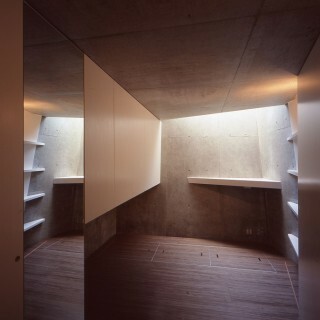 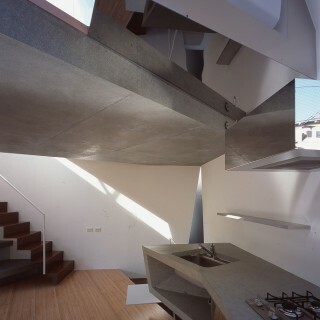 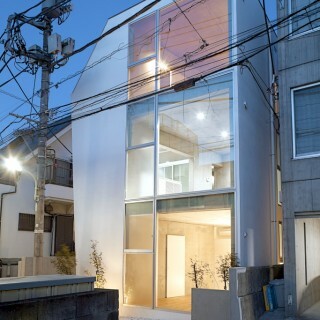 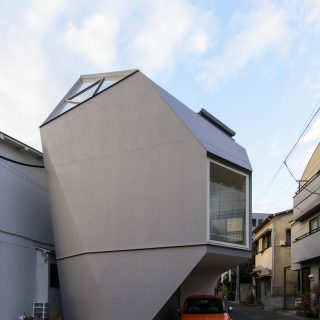 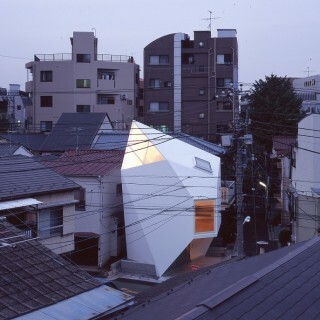 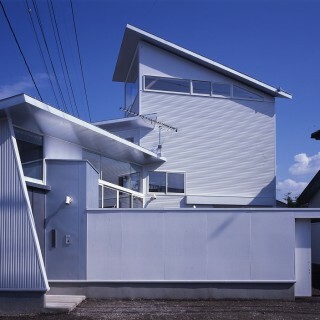 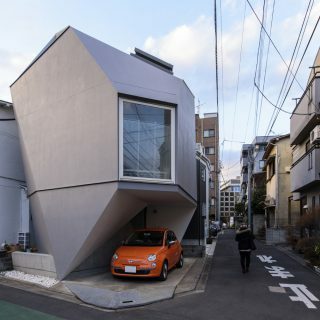 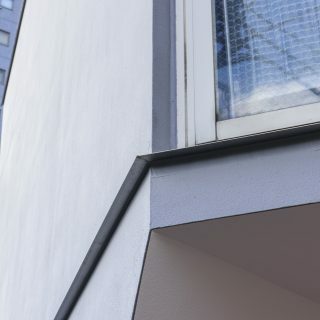 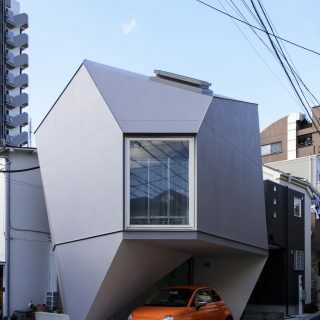 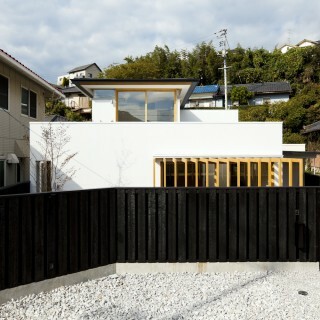 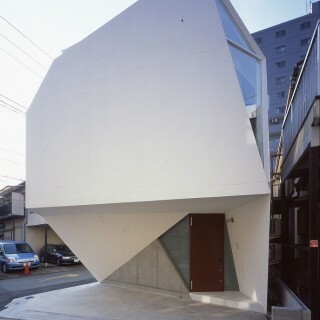 The site is a small piece of land (44.62m2) with an irregular shape, located on the corner of two narrow streets intersecting at an acute angle in a high densely residential area in Tokyo. 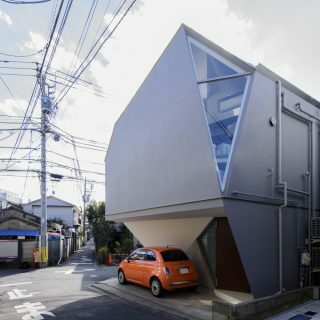 The client had three requests: for their home to be a highly stimulating piece architecture; to achieve maximum livable volume; to have a covered parking space for their car. 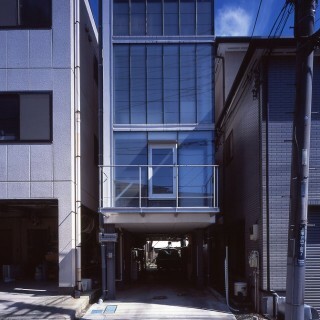 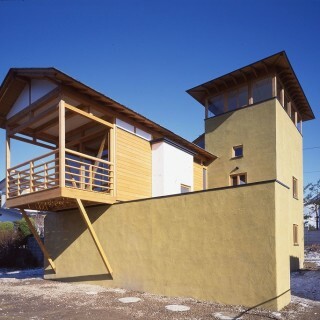 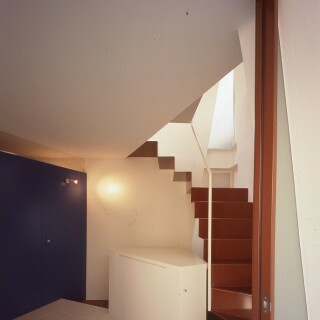 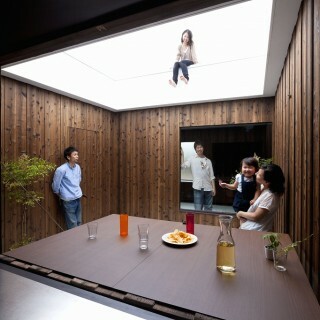 According to building codes, this house had to comply to three different height restriction plains. 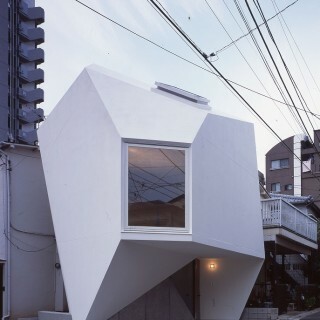 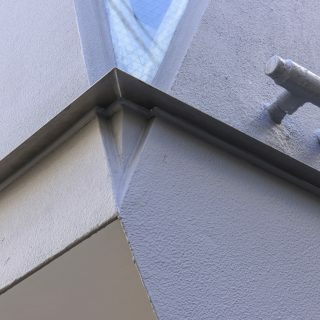 The complicated polyhedron volume was the result of maximizing the total buildable volume under these restrictions plains intersecting at various angles. 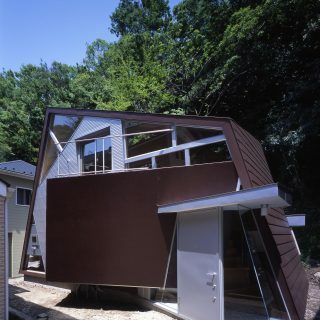 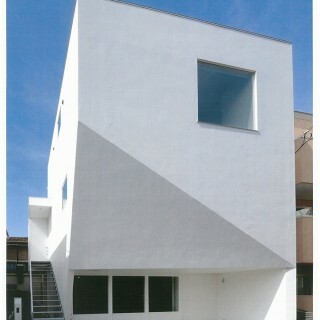 From this form we named the house from the image of a piece of mineral that is buried in the ground. 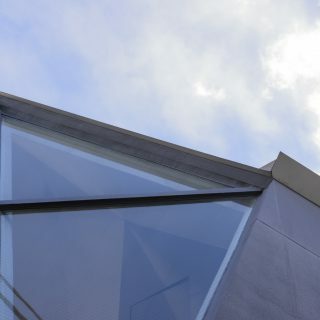 The process of deciding on the final form was like giving cuts to a precious gemstone – we worked with the utmost precision to do this and result was like a shining piece of diamond.